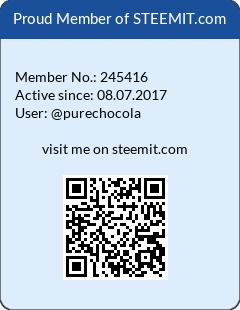 These hard drives are the most reliable!steemCreated with Sketch. Data center specialist BackBlaze regularly reports on the shelf life of the hard disks it uses in its data centers. This includes both consumer disks and business products. The last report is very positive. During the quarter, BackBlaze added 9,599 new disks to its file and removed 6,211 old disks. The total number of disks it has in its data centres is 86,529. This includes all discs of which it has more than 45 copies, with one exception. BackBlaze takes the brand new 12TB discs into account in his comparison, even though it has only 20 copies. The best-before date of hard disks generally improved. During the period between July and September, the average failure rate was 1.84%, the lowest quarterly figure ever recorded by BackBlaze. 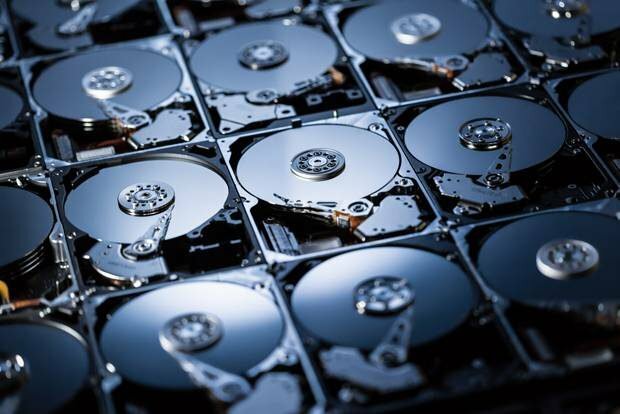 Partly, the company explains the age of its hard drives: 80 percent is less than three years old. It is noteworthy that the new 10 and 12 TB discs can present a clean sheet: none of them stopped using them during the combined 13,000 days they were in use. Both are Seagate drives for the professional market. According to BackBlaze, it is still a little early to draw definitive conclusions about the disks. If we look forward to a longer period of time than the previous quarter, the maps are slightly different. The estimated annual failure rate is 2.07 percent, which is an increase. This is because BackBlaze retired the old HGST 3TB models, and those drives were very reliable. Now that these models have disappeared, the percentage is going up. BackBlaze can view the failure rate of his disks over a period of 4 years. The figures show that both the 6 TB and 8TB drives are doing pretty well. Seagate outperformed WD on the 6 TB copies. Of the 1,882 ST6000DX000 (Seagate) consumer disk drives, 56 discs failed, representing a percentage of 1.2 percent. The WD60EFRX was 4.6 percent. In the 8TB category, Backblaze puts both the consumer version and Seagate's enterprise variant to work in large numbers. In total, only 46 disks of the 24,328 exepmlaren gave the spirit. It is noteworthy that the consumer version does slightly better than the enterprise model in terms of shelf life. 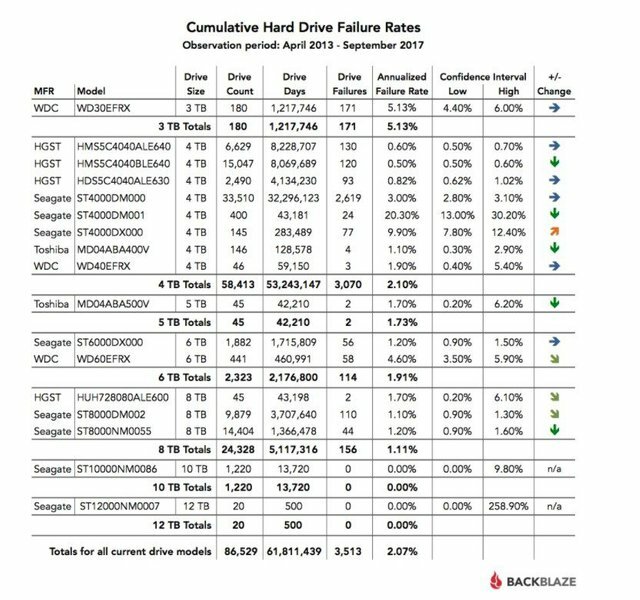 The least reliable drives from BackBlaze data park are the 4 TB models of, again, Seagate. Of the desktop HDD, 283 disks failed on 33,510, representing a 3 percent failure rate. Two other 4 TB Seagate drives did even worse, with a failure rate of 20.3 and 9.9 percent respectively. However, of the latter two versions, there were also far fewer copies, so that one lost disk pushes the percentage up quickly. HGST models performed much better in this category, as did Toshiba and WD. In short, with a 6TB or 8TB Seagate drive, you're all right, but the 4TB version is avoidable if you're interested in reliability. In the latter category, you'd better opt for a hard drive from HGST. The professional 10 TB and 12 TB HDDs also show a very high reliability, but here it is a bit too early to make a final judgement. Thanks for sharing this information about hard drives. Super helpful! Solid State drives are superior. Thanks for this post, it is very useful!